The linebacker position may be one of the deepest position groups on the roster and after taking only one or two in the 2019 class, it’ll likely be a priority in 2020 and the staff is off to a good start as they’ve added another hard-hitting linebacker to the bunch. 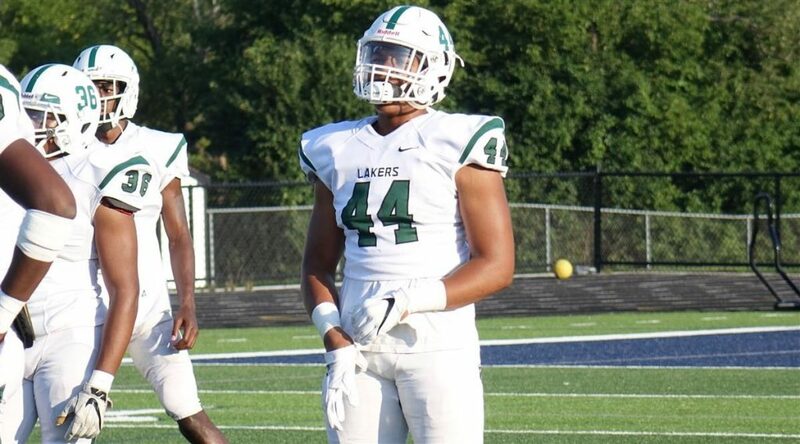 Following his visit for the Nebraska blowout, 2020 West Bloomfield (MI) LB Cornell Wheeler has committed to Michigan. Wheeler’s tape immediately reminds me of former Michigan commit and current standout Florida Gator, David Reese. He’s stout, quicker than fast, and his instincts and toughness set him apart on the field. He shows the ability to read defenses and make plays on the ball carrier. And when those plays are normally some devastating hits. He can really lay the lumber. At this point, he looks to be a great fit at inside linebacker. With room to grow and plenty of time to get there before he gets to Ann Arbor, he could be a very nice addition to the linebacker room. This was a pretty quick recruitment as most junior year commitments tend to be. Wheeler has been a lifelong fan of the Wolverines and has been extremely high on them since receiving his offer back in February. But like with most early offers, the coaching staff normally wants to see the player develop heading into their junior year and give them time to make the right decision. Wheeler was a normal visitor in Ann Arbor with it being just a short drive from West Bloomfield. But it looks like his last visit for the Nebraska blowout was enough to put him over the top. That fandom of the maize and blue, the connections with the players and coaches, and the commitment of his good friend CB Andre Selden looked to be too much to pass up as the heavy-hitting inside linebacker becomes the fifth commitment of the 2020 class. Wheeler is the fifth overall commitment, the first linebacker commit, and the second player from Michigan. And he won’t be the last for any of those categories. This should be a pretty decently sized class (depending on just how big the 2019 class is), linebacker will likely be a position of emphasis, and the state of Michigan is loaded with talent in this class. Some of the top in-state names to watch include WR Ian Stewart, OG Justin Rogers, DE Bryce Mostella, DE Braiden McGregor, DB Enzo Jennings, and Wheeler’s teammate, S Makari Paige. As for the linebacker position, LB Ethan West, VLB Kalel Mullings, LB Osman Savage, and LB DeaMonte Trayanum are all names to watch moving forward. Marketing Manager and Communications Director by day, Owner and Managing Editor of MGoFish.com by night. Detroit resident. Played soccer and graduated from Seton Hill University.